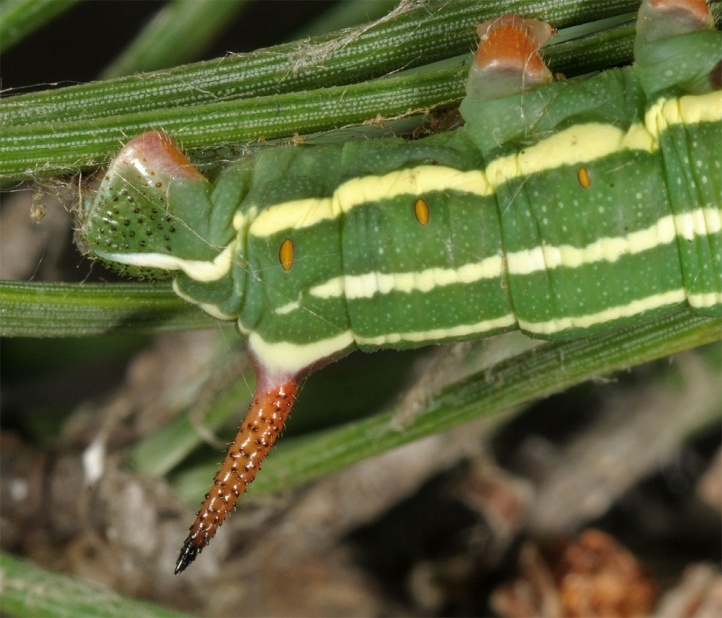 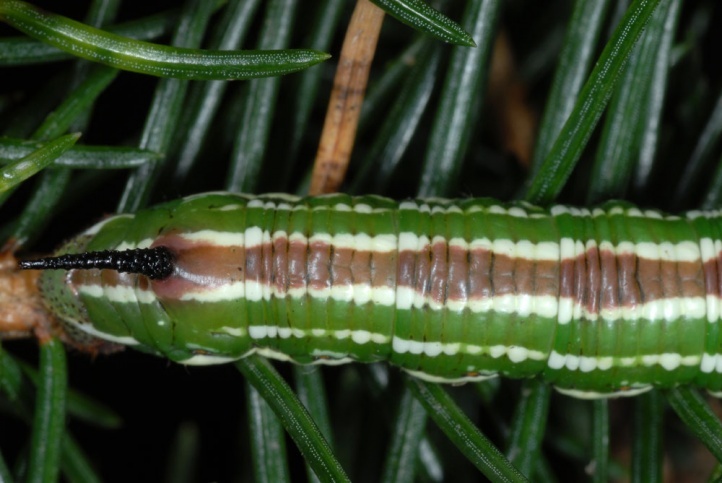 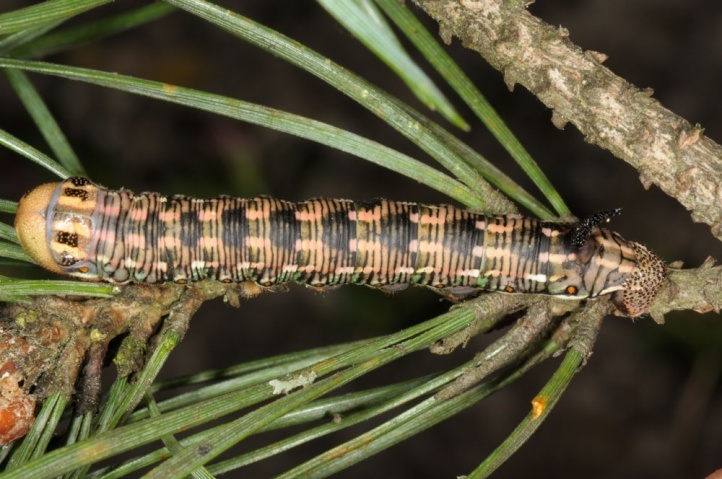 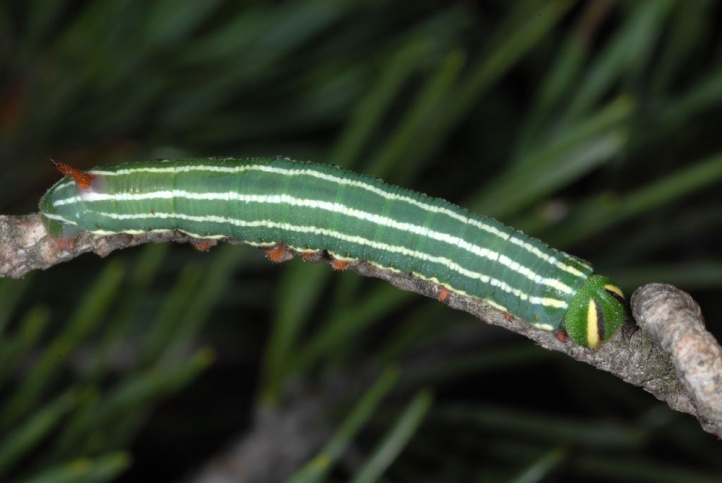 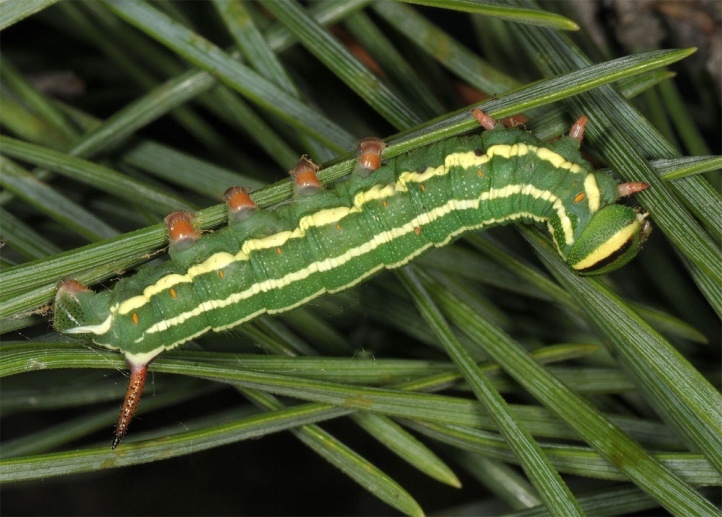 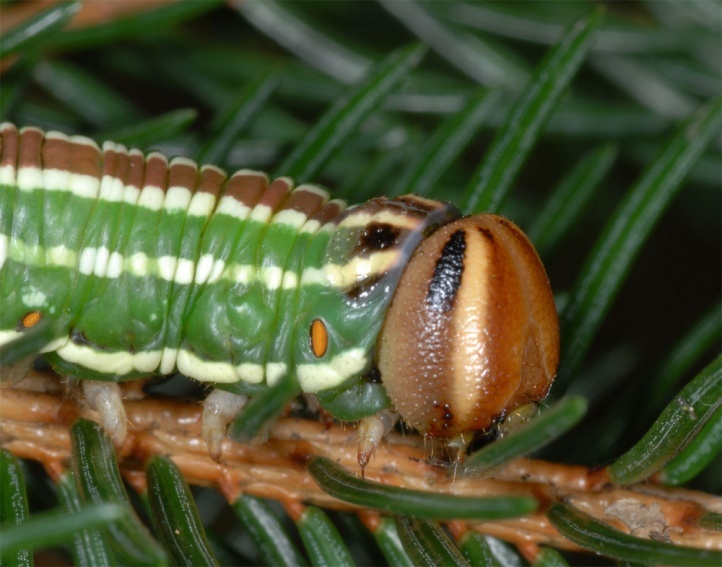 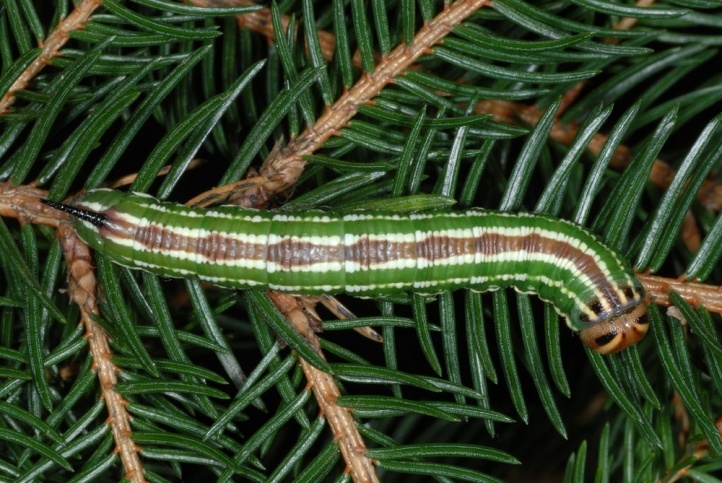 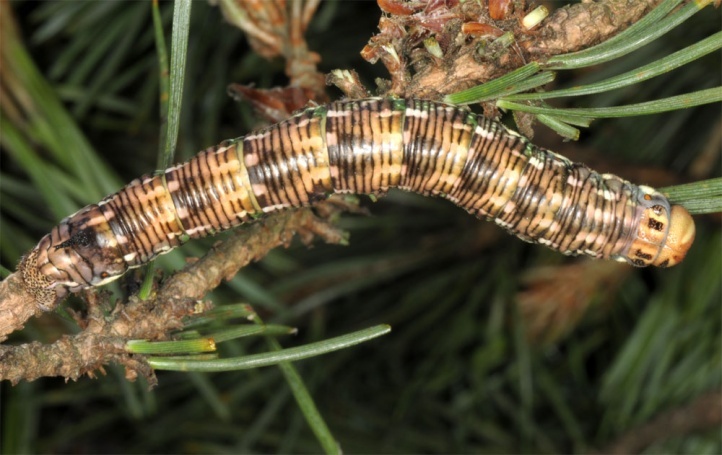 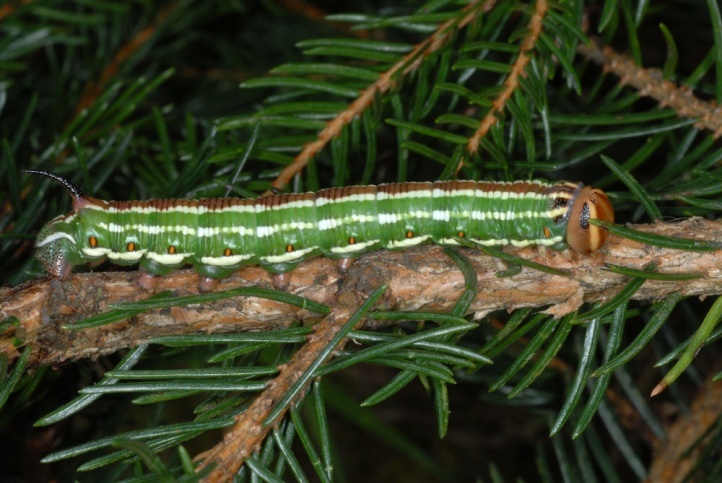 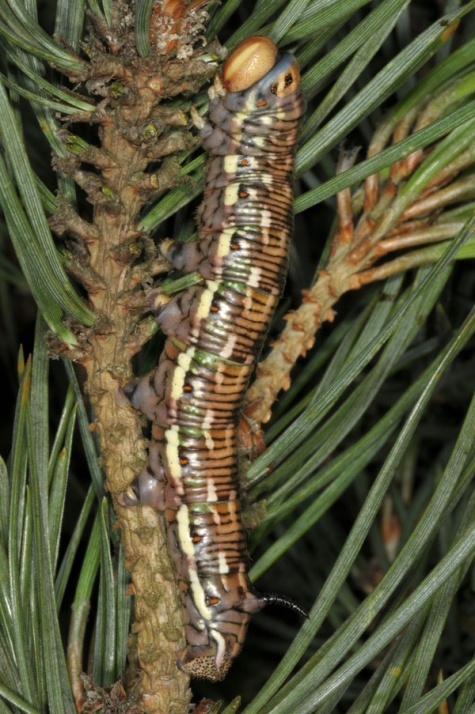 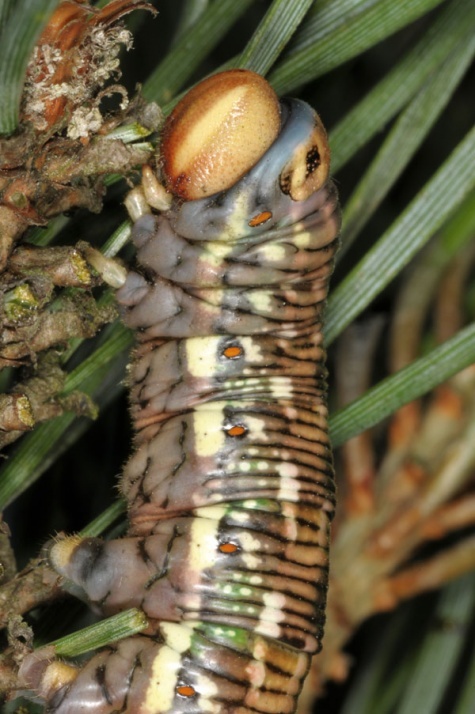 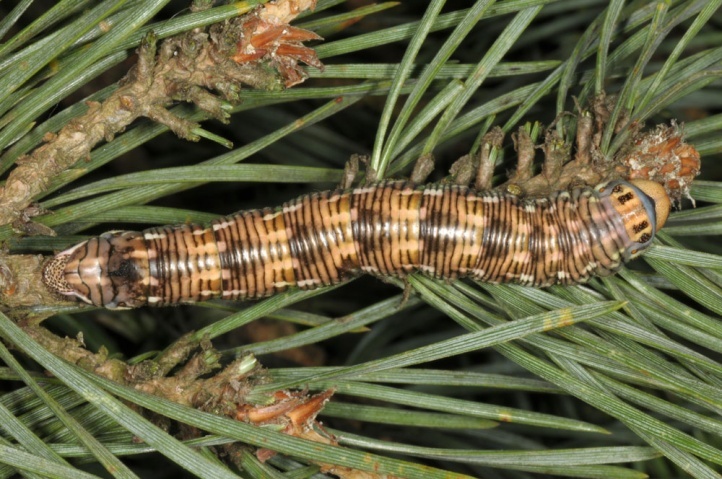 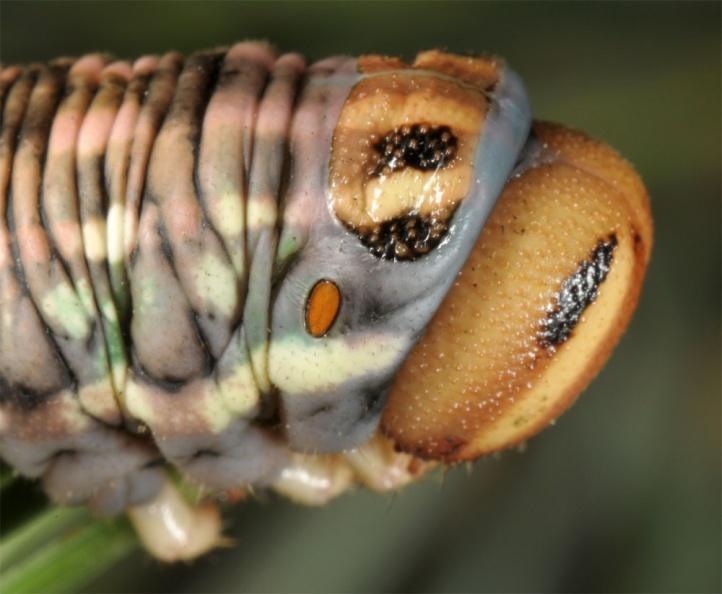 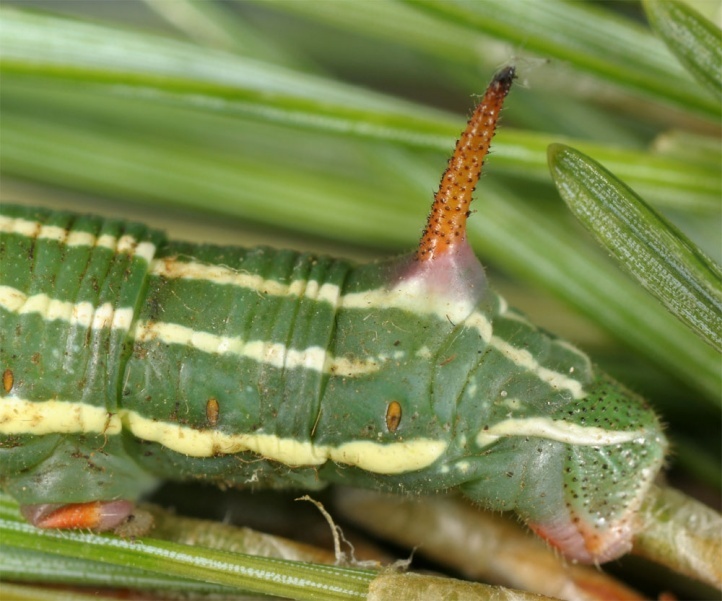 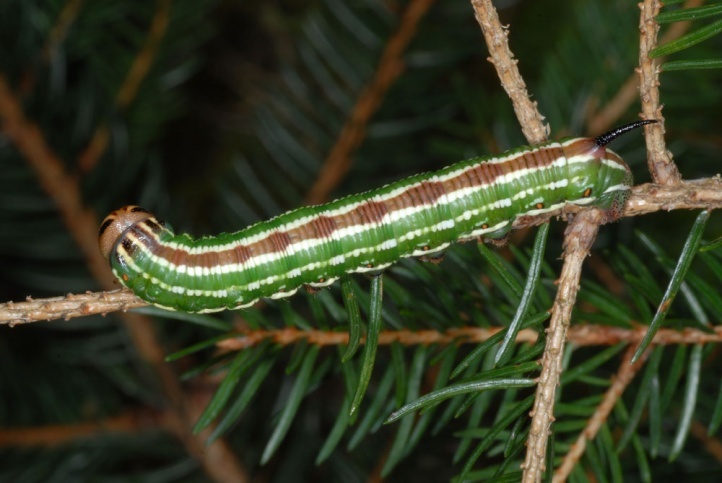 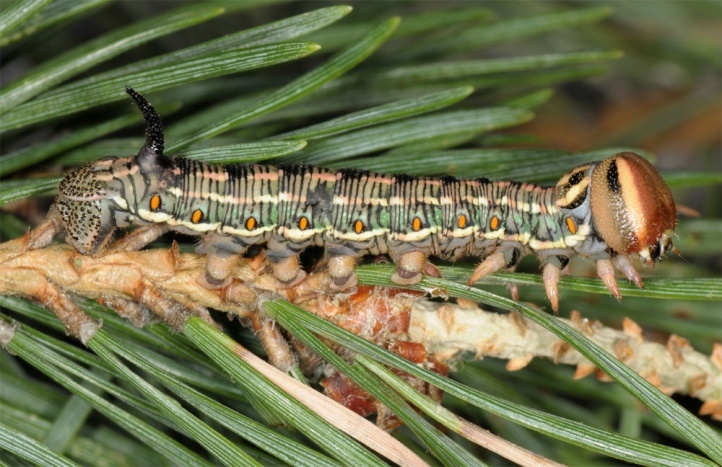 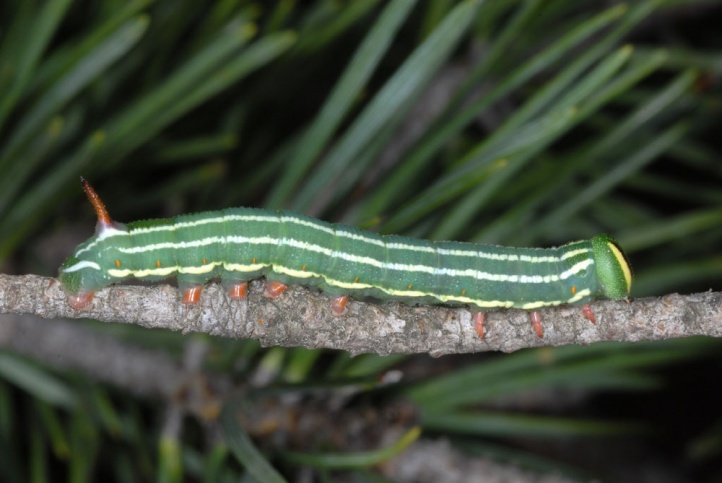 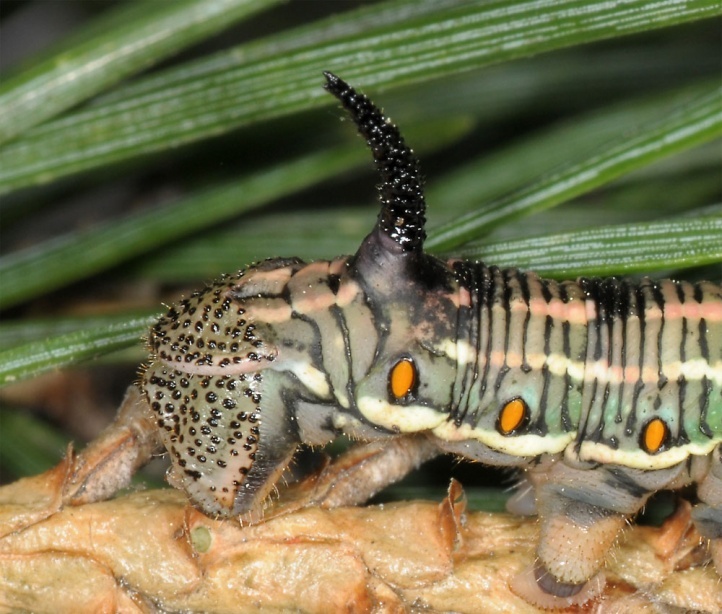 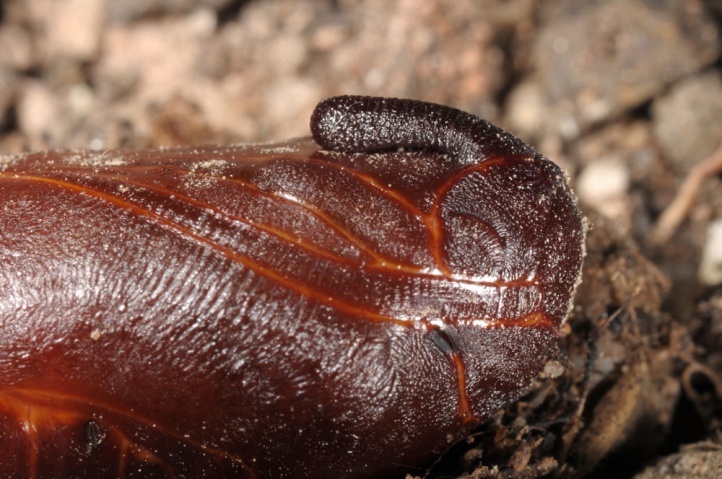 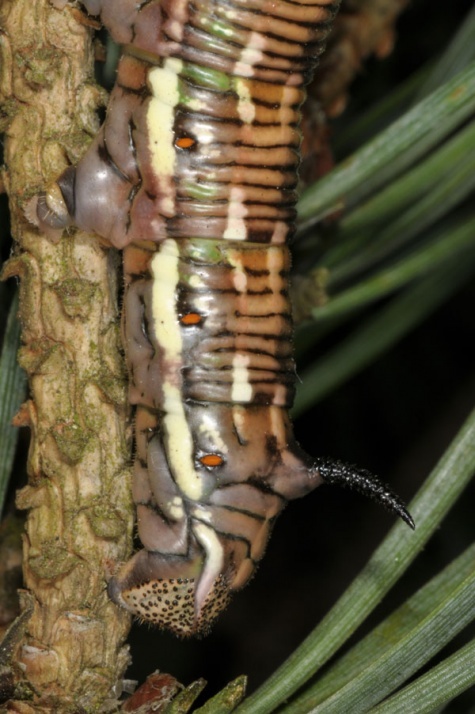 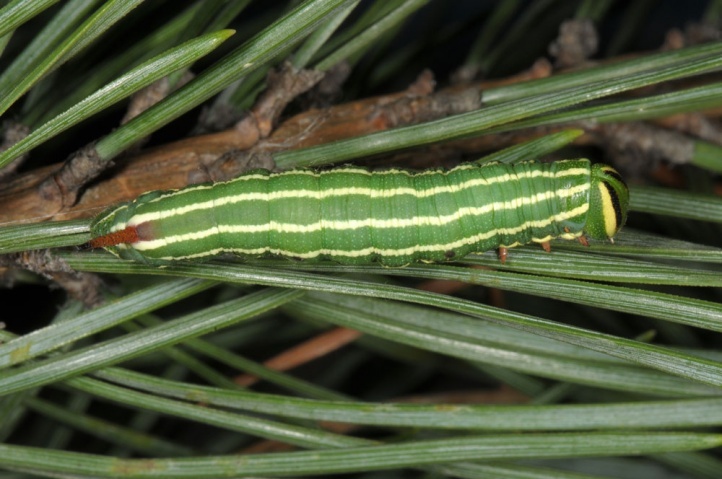 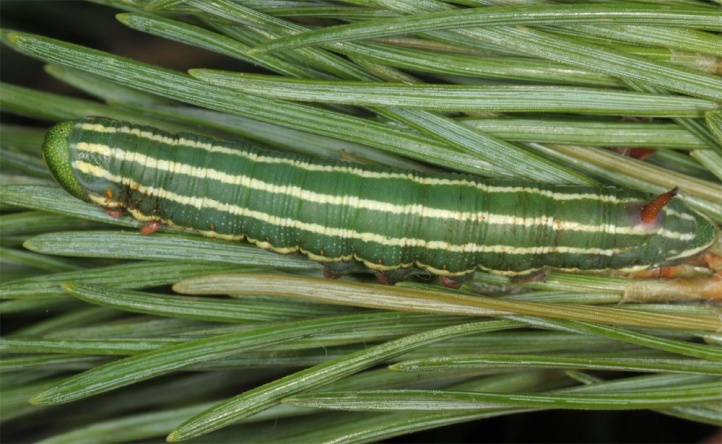 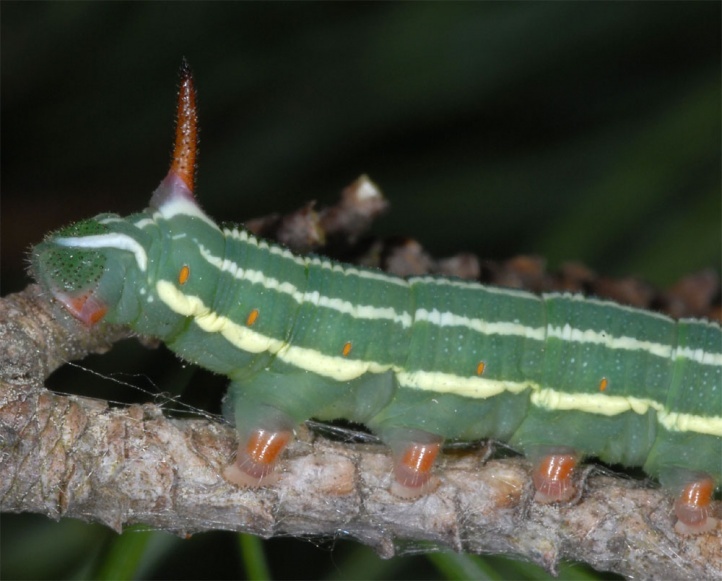 The larva consumes needles of coniferous trees such as pine (Pinus) and spruce (Picea). 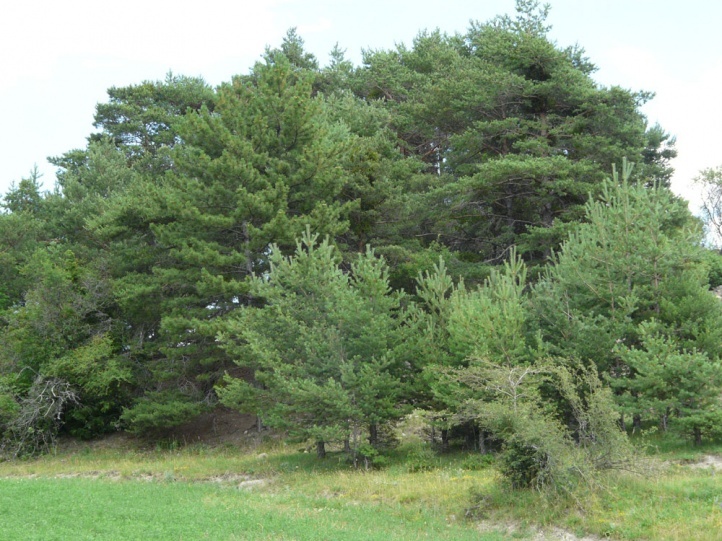 The habitat are mostly coniferous forests up to the tree line and moor woodlands. 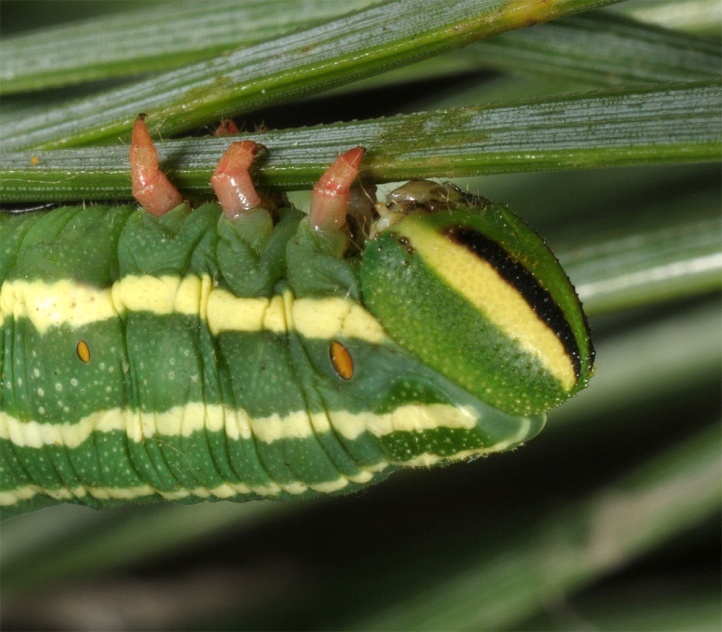 Sphinx pinastri is also found in gardens and parks. 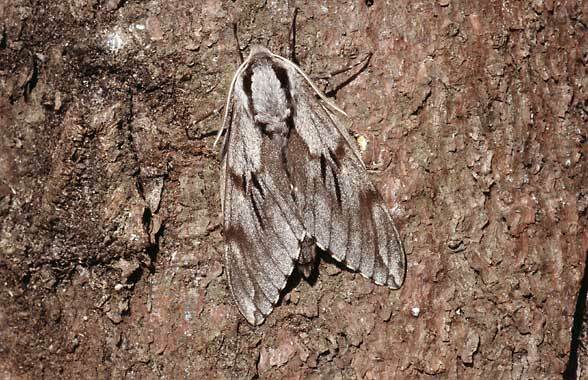 The moths fly in one generation from May to July/August. 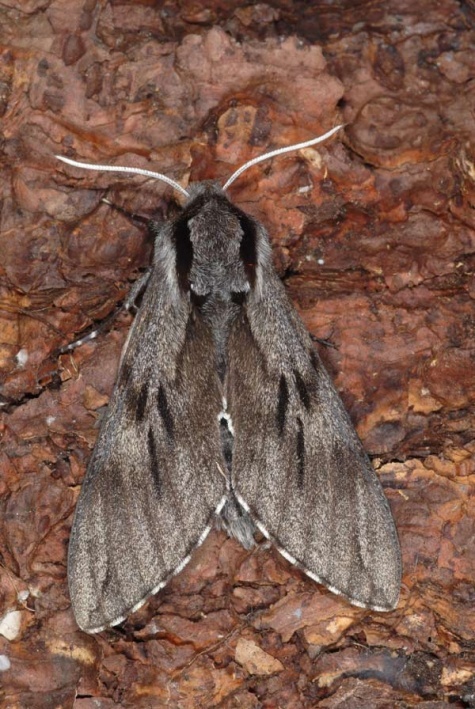 Locally, there is a partial second generation in lowlands in August. 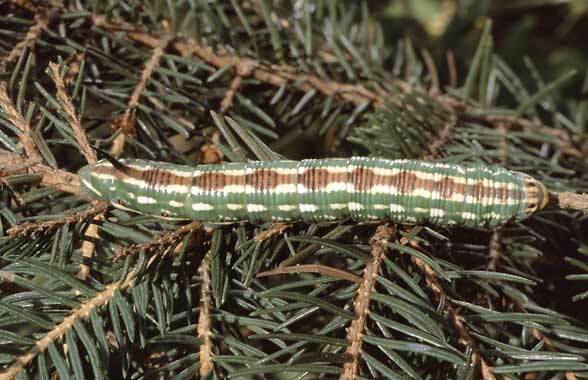 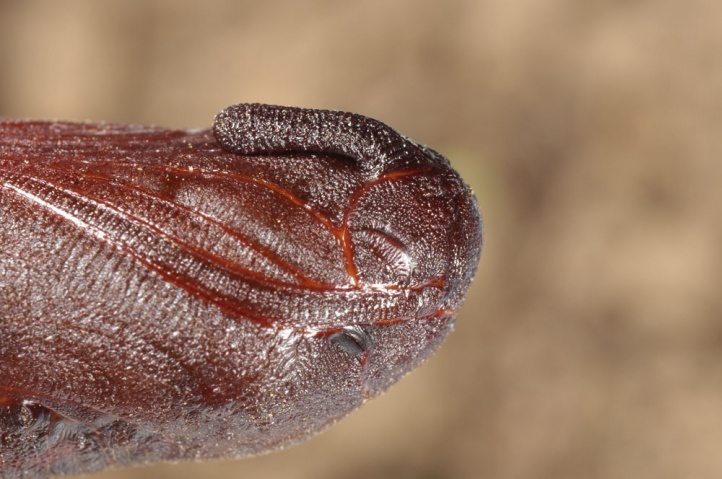 The mature caterpillars are often observed from July to September or early october on the way to pupation on roads and paths through pine and spruce forests, but mostly already gone flat. 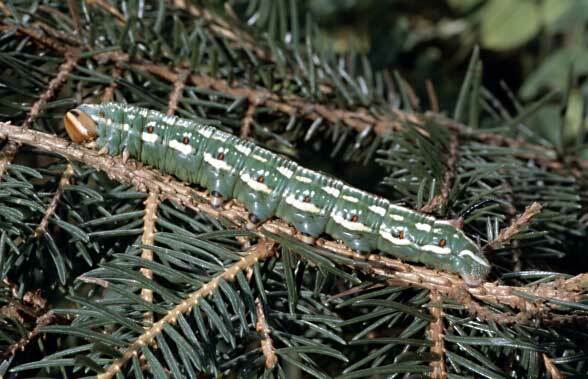 Feeding caterpillars I found repeatedly on older spruce trees on the edge of the lower branches in partial shade. 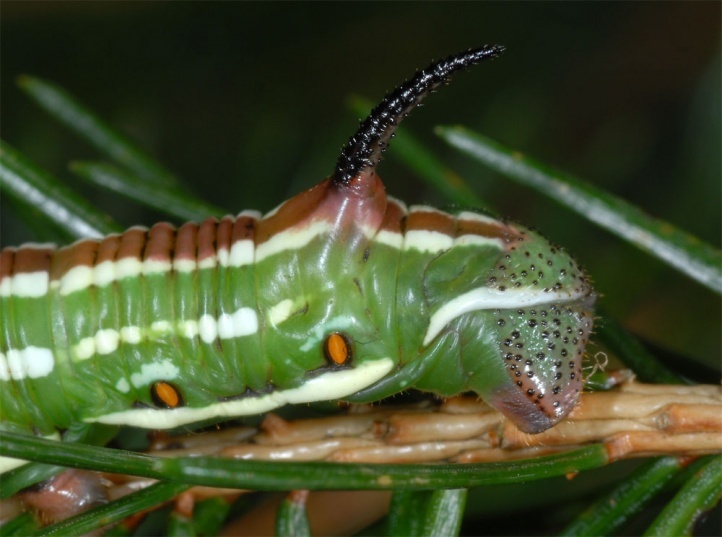 Sphinx pinastri is not endangered, but also not harmful. 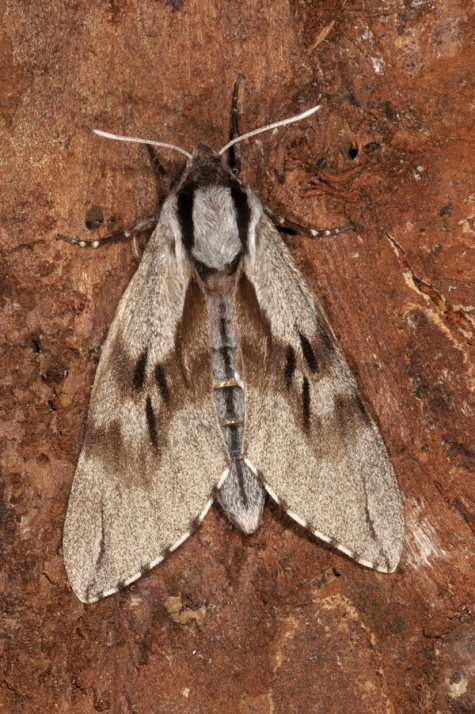 Sphinx pinastri ranges from Northwest Africa to Central Siberia. 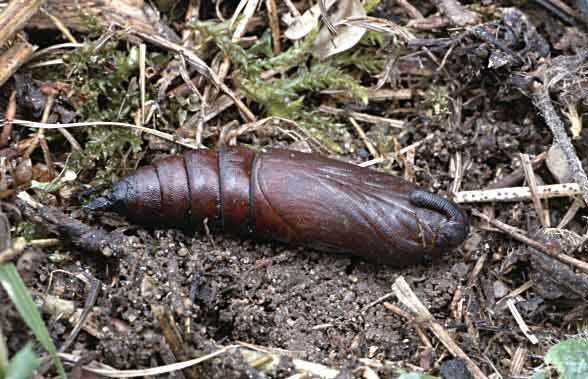 In literature there is also data from North America. 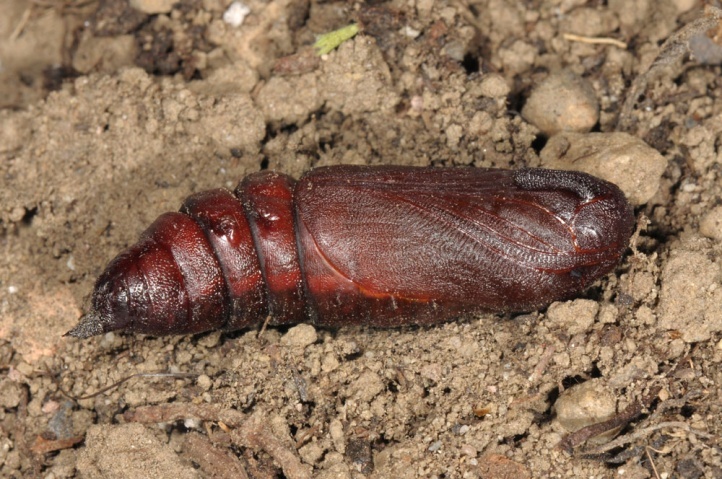 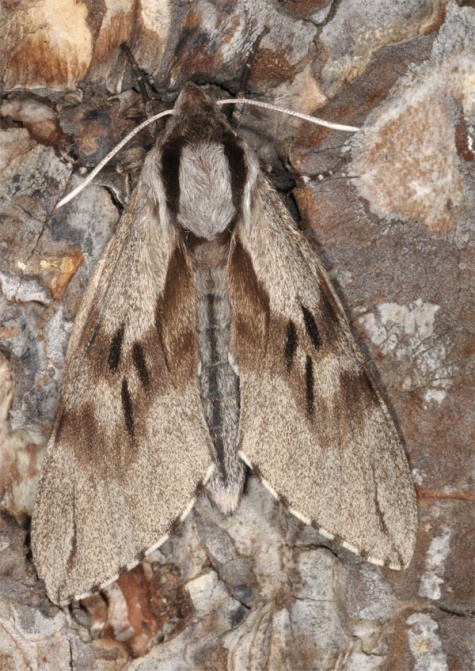 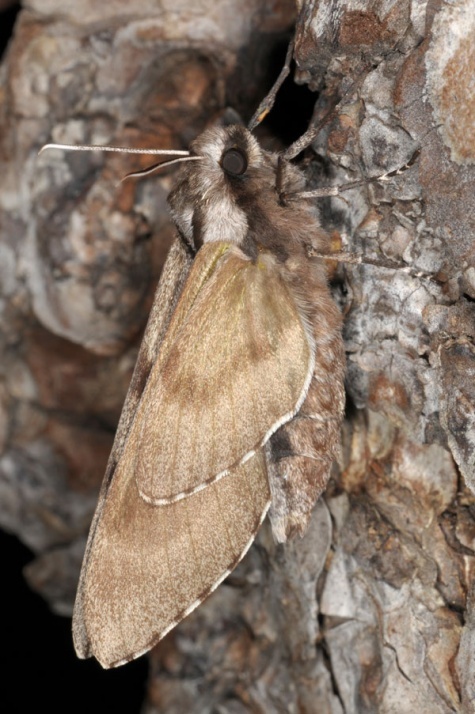 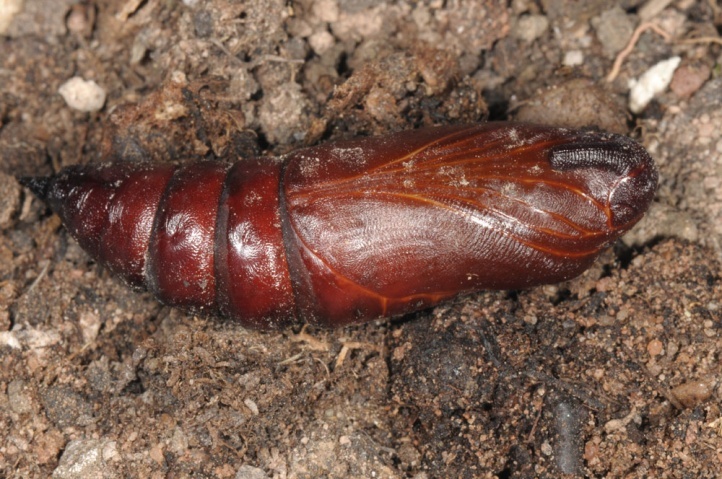 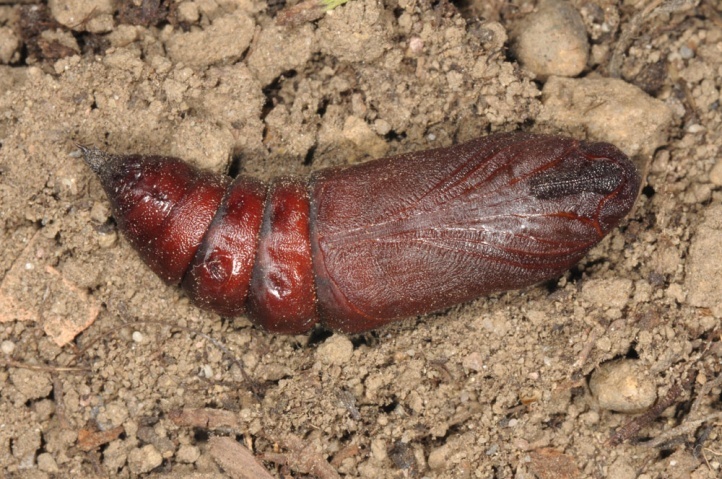 The North African, Iberian and partly the Southern French populations are sometimes considered as a distinct species (especially due to differences in the genital armature): Sphinx maurorum.